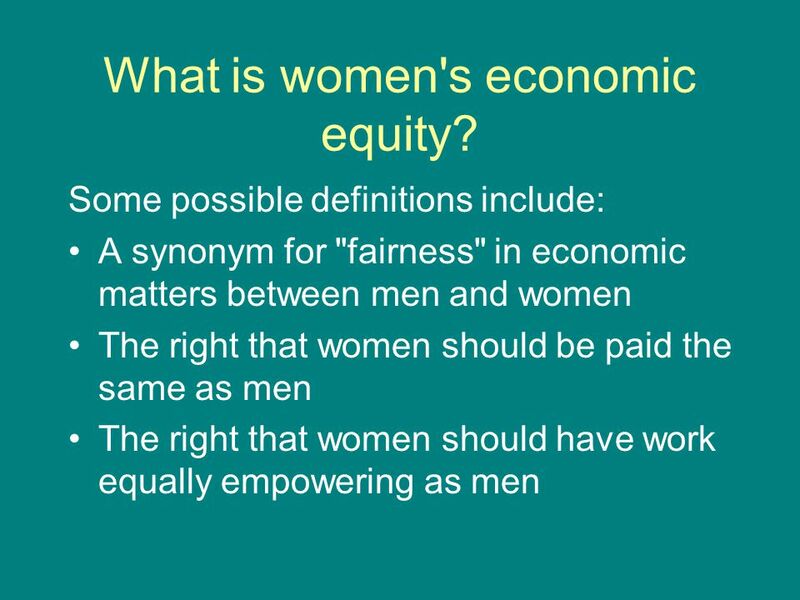 2 In this presentation: What is women's economic equity, and what is the current status of women's economic equity? 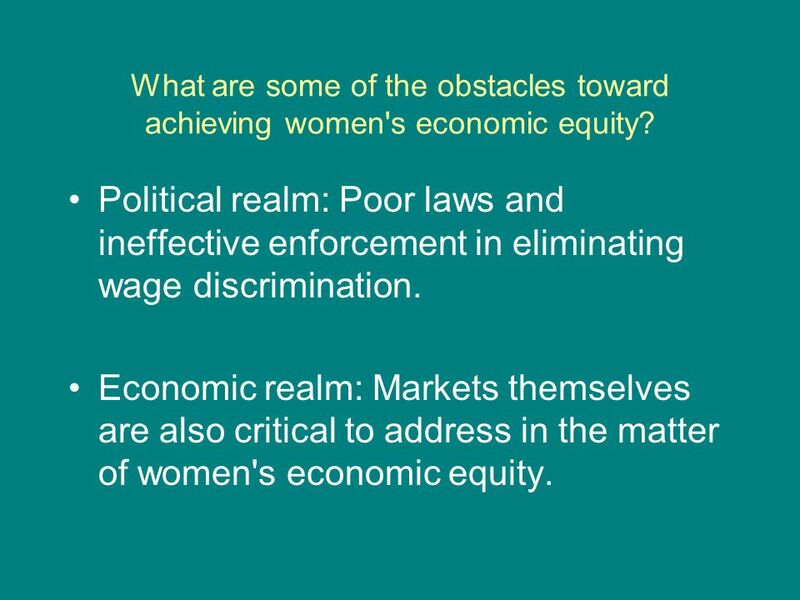 What are some of the obstacles toward achieving women's economic equity? 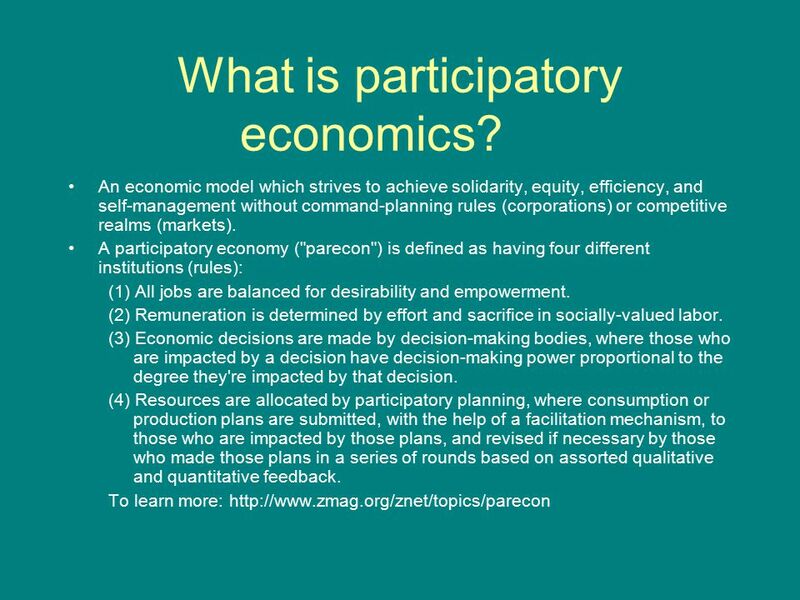 What is participatory economics? How is participatory economics relevant towards women's economic equity, and toward overcoming the obstacles toward economic equity? What are some possible next steps? 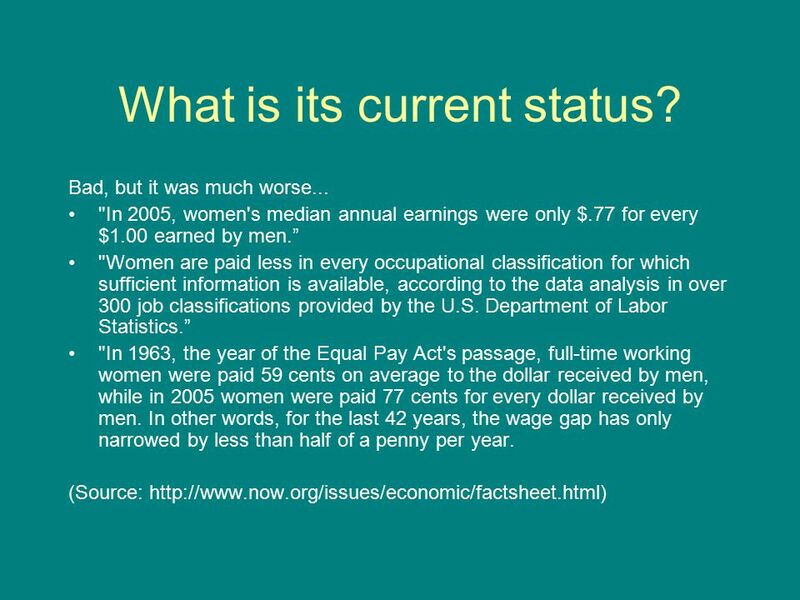 5 What are some of the obstacles toward achieving women's economic equity? Political realm: Poor laws and ineffective enforcement in eliminating wage discrimination. Economic realm: Markets themselves are also critical to address in the matter of women's economic equity. 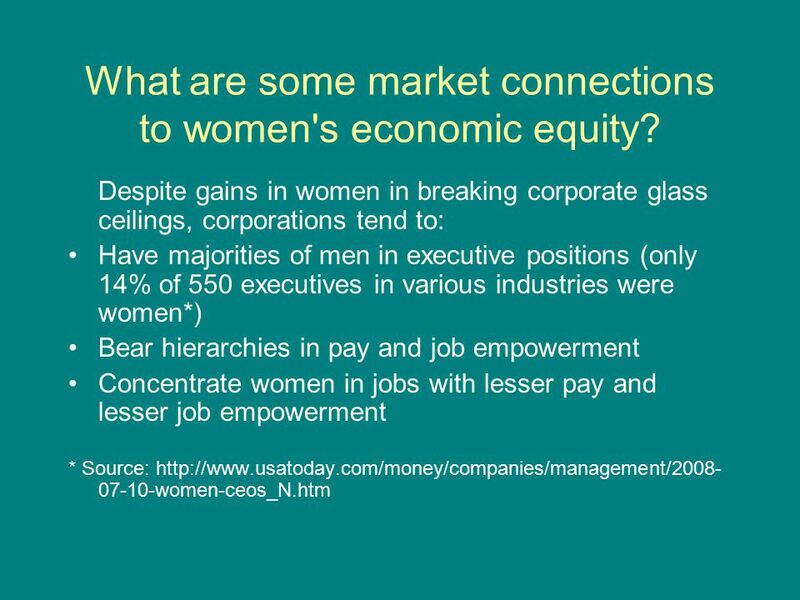 6 What are some market connections to women's economic equity? Markets are (contrary to popular myth) not democratizing institutions. They're competitive by definition. Since they're competitive, you have an incentive to behave like a monster. Corporations are the legal equivalent of monsters in a market. 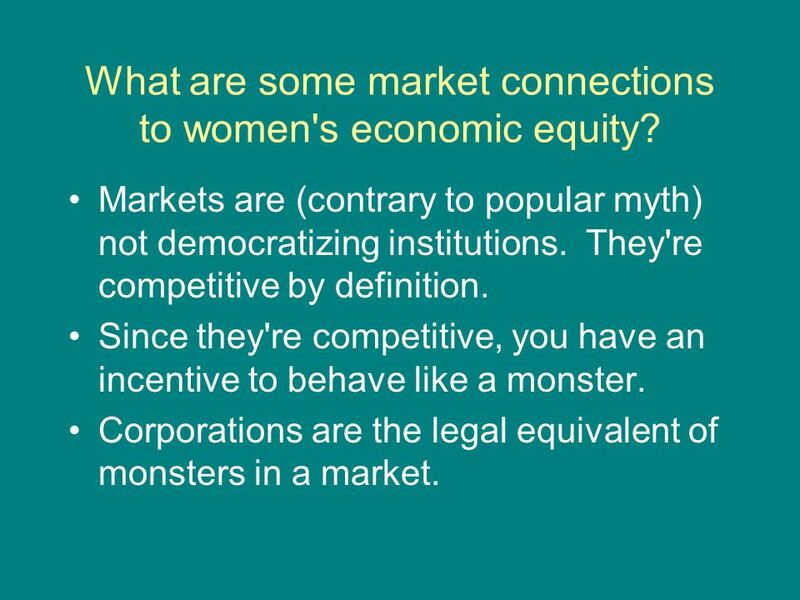 8 What are some market connections to women's economic equity? 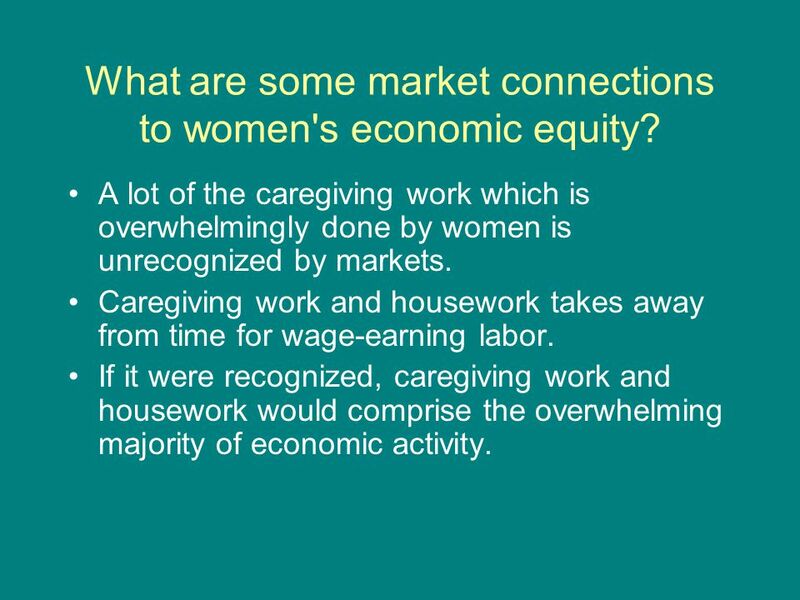 A lot of the caregiving work which is overwhelmingly done by women is unrecognized by markets. Caregiving work and housework takes away from time for wage-earning labor. If it were recognized, caregiving work and housework would comprise the overwhelming majority of economic activity. 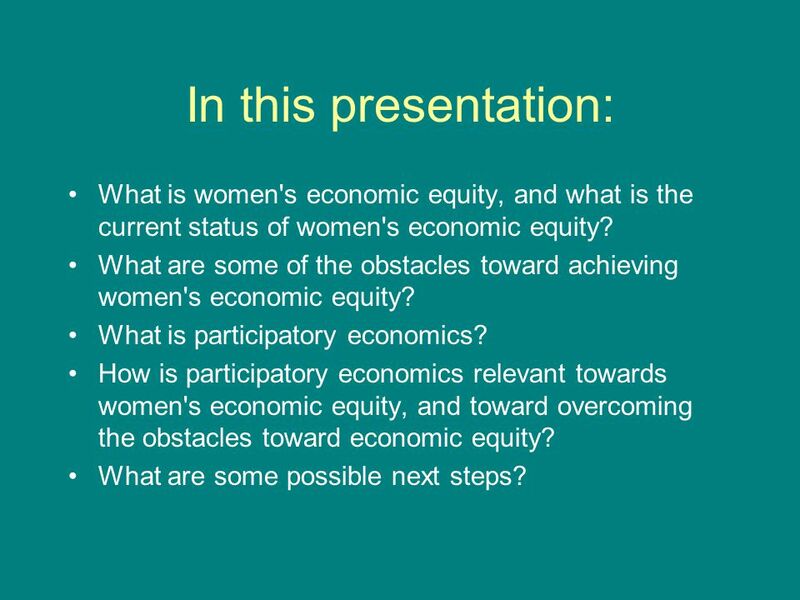 10 How is participatory economics relevant towards women's economic equity, and toward overcoming the obstacles toward economic equity? 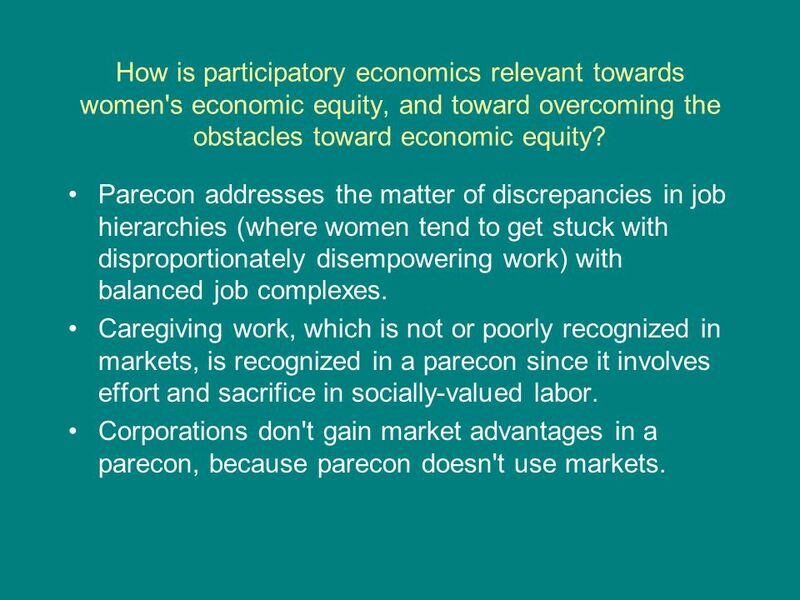 Parecon addresses the matter of discrepancies in job hierarchies (where women tend to get stuck with disproportionately disempowering work) with balanced job complexes. Caregiving work, which is not or poorly recognized in markets, is recognized in a parecon since it involves effort and sacrifice in socially-valued labor. Corporations don't gain market advantages in a parecon, because parecon doesn't use markets. 11 What are some possible next steps? 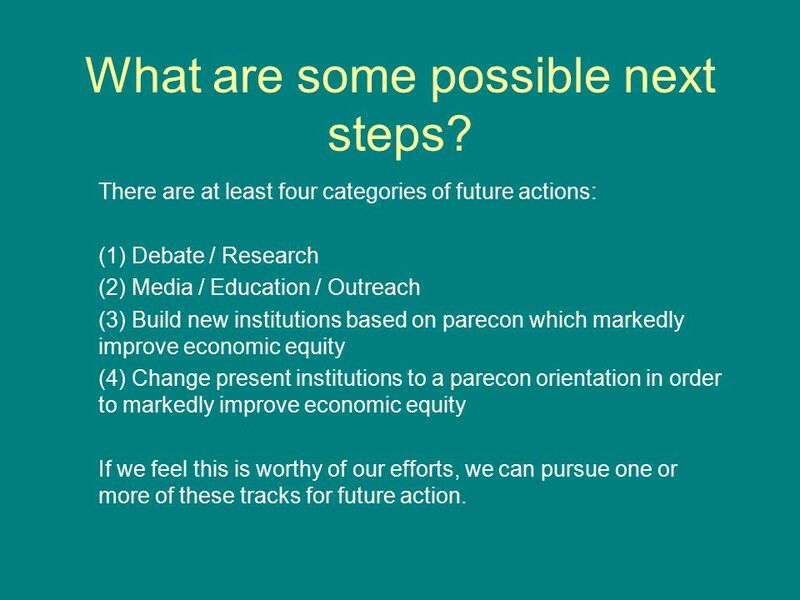 There are at least four categories of future actions: (1) Debate / Research (2) Media / Education / Outreach (3) Build new institutions based on parecon which markedly improve economic equity (4) Change present institutions to a parecon orientation in order to markedly improve economic equity If we feel this is worthy of our efforts, we can pursue one or more of these tracks for future action. 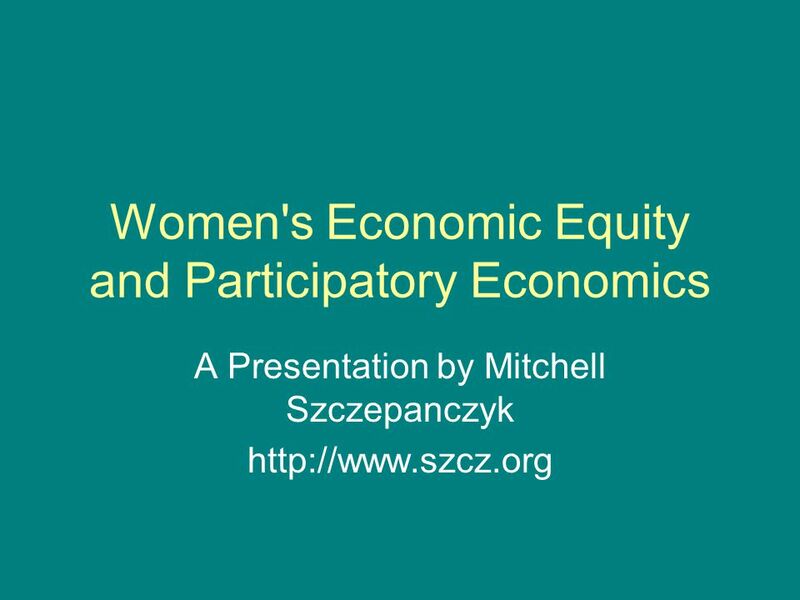 Download ppt "Women's Economic Equity and Participatory Economics A Presentation by Mitchell Szczepanczyk"
Distributive Politics and Global Climate Change October 2007. More Women Leaders, Better Corporate Social Responsibility June 26, 2012. CHAMBER PARTNERSHIP MEETING - WOMEN ENTREPRENEURSHIP & BMO SERVICES - South Africa, March The strength of networking & benchmarking! Minimum Wage Setting under Work choices Including options for equity. Compensation Compensation is the reward that individuals receive in exchange for performing tasks A major cost of doing business The chief reason people. Copyright©2004 South-Western 19 Earnings and Discrimination. Earnings and Discrimination Chapter 19 Copyright © 2001 by Harcourt, Inc. All rights reserved. Requests for permission to make copies of any part of the. Equal Pay. Equal Remuneration Convention, 1951 (No. 100) ARTICLE 2 1.Each Member shall, by means appropriate to the methods in operation for determining. GENDER EQUALITY through equal pay and treatment in the workplace. 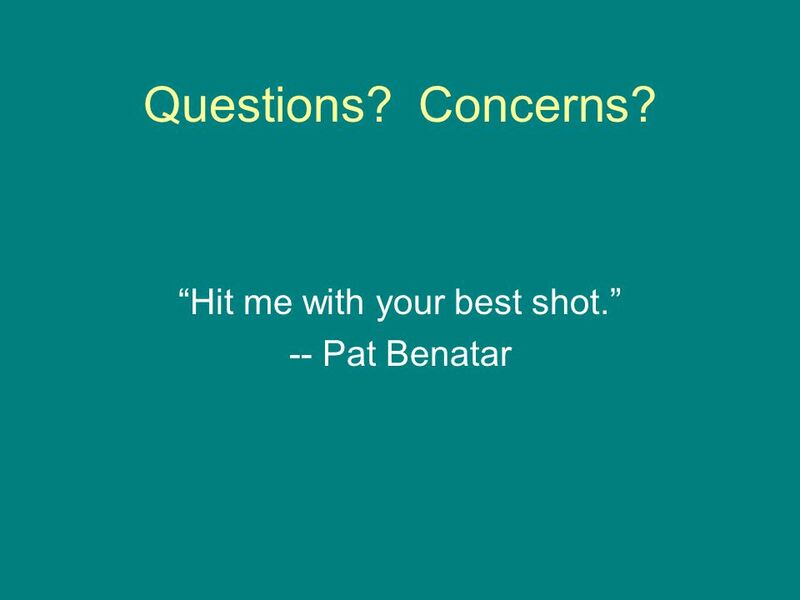 Back to Table of Contents pp Chapter 4 Business Ethics and Social Responsibility. How does the Workplace Influence Gender?. What is Work? Work is a secondary socialising agent. Work is a secondary socialising agent. It comes later on. A.S 3.3 Describe and illustrate resource allocation via the public sector to compensate market failure. Gender earnings ratio/gap 2002 weekly earnings ratio: =.77 “women earn 77% as much as men” “women earn 77 cents to men’s dollar” 2002 weekly earnings.